Fits the base Models. Will NOT fit SportTrac. Sport Trac models will use KF04015BK Instead. Made in the USA these body mounts are precision-engineered to be a direct replacement for your Explorer's factory mounts. They are constructed of a special polyurethane blend that helps insulate the cab while maintaining superior holding power. 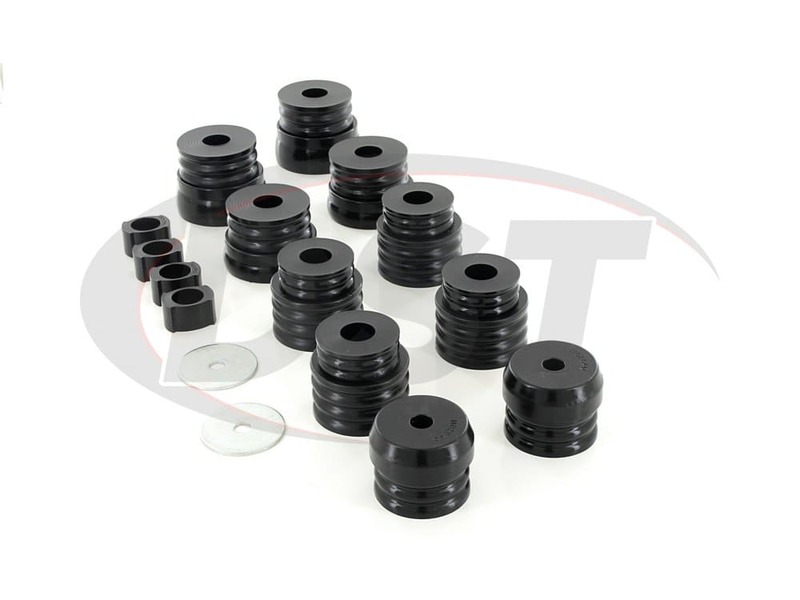 Polyurethane body mount bushings are great for hitting the pavement and track but they can also hold their own off-road. These kits will increase the performance and handling of your Explorer all while maintaining its frame and body alignment and keeping out road grime and vehicle fluid. 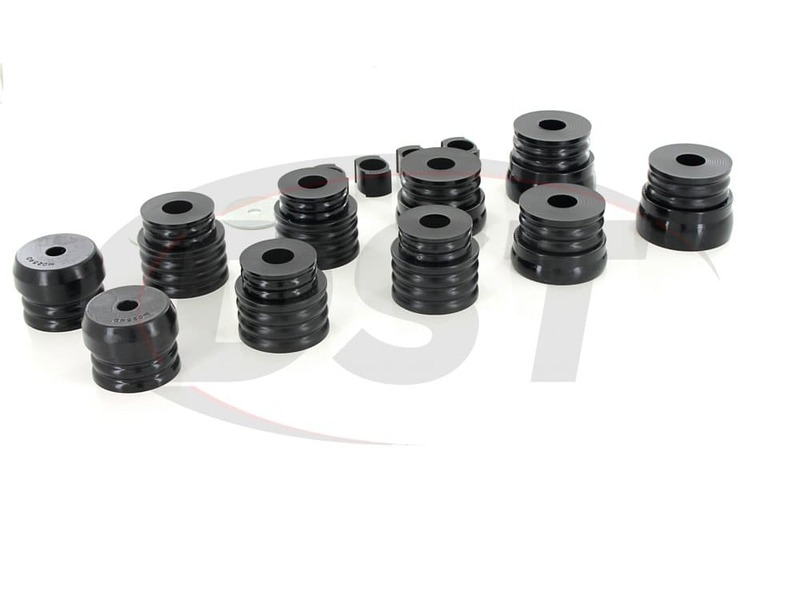 Body mount bushings can dramatically affect the ride quality of your SUV if and when, the stock rubber mounts rot away. 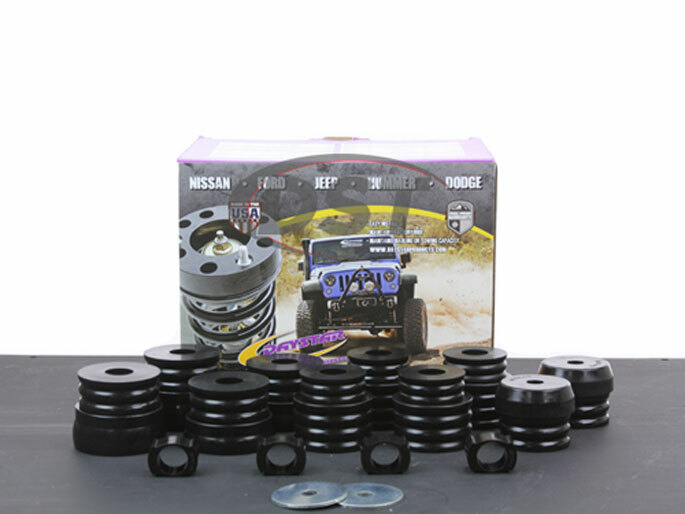 Now Explorers already have a poor reputation when it comes to body mount bushings and the majority of owners have experienced the poor stock rubber body mounts. Such as poor latch indoors or trunk, loud noises when driving and an exaggerated roughness when hitting potholes. 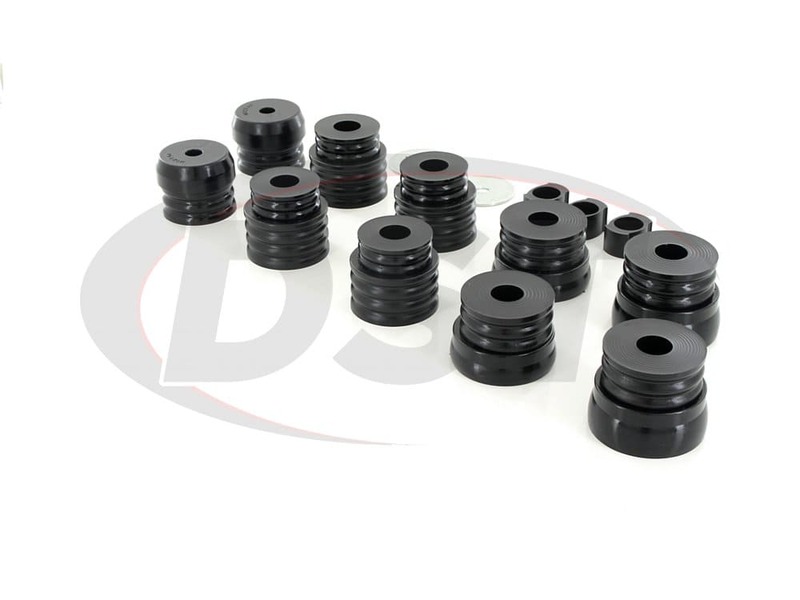 Replacing the stock rubber body mounts with Daystar's KF04009BK will not only give you a performance upgrade but it will cut down the cost of repair greatly; OE Ford parts cost roughly $200/per bushing plus install costs. 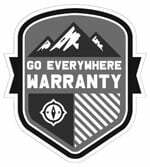 With quick and easy installs you can get your Explorer repaired and back on the road all in one weekend. Does the KF04009BK come with new hardware? 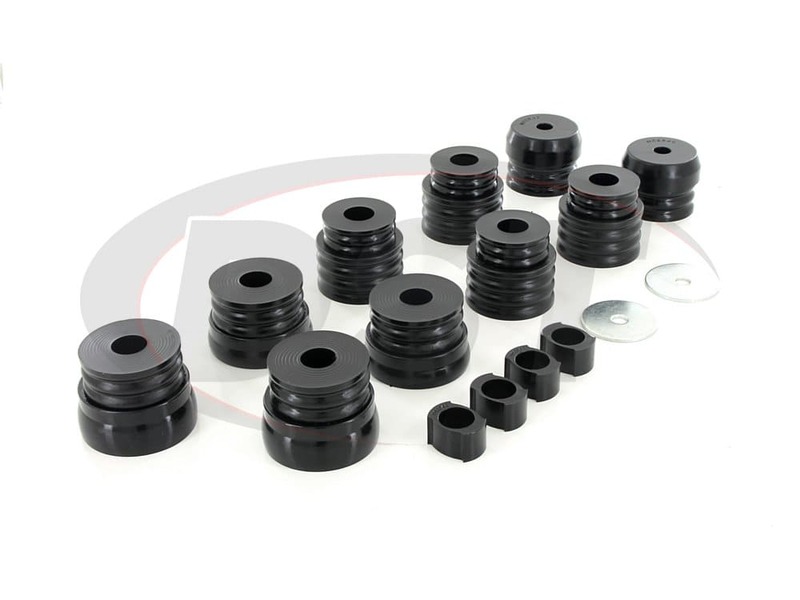 The KF04009BK comes with only the bushings. The bushings are designed to reuse all of the OE hardware so you will not have to purchase new hardware.  What colors are the KF04009BK available in? The KF04009BK are only available in black. What year range is the KF04009BK listed to fit? The KF04009BK is listed by Daystar to fit the 1991-2001 Explorer and Explorer Sport, both the 2 wheel drive and 4 wheel drive. 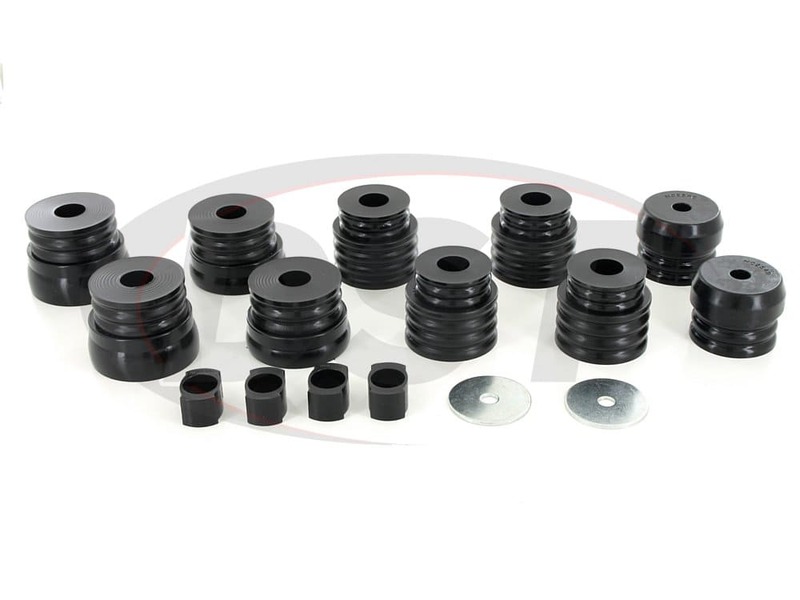 How many bushings come in this kit? 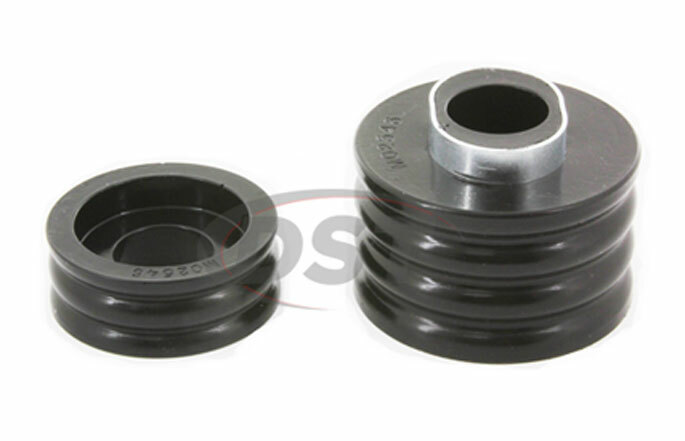 There are 24 Bushings and 2 Washers in part number KF04009BK . Will part number KF04009BK fit my 2001 Ford Expedition 2wd sport model? No, part number KF04009BK will not fit the 001 Ford Expedition 2wd sport model. Will this fit a 2001 explorer sport 4wd? No, part number kf04009bk will not fit a 2001 Ford Explorer Sport 4wd. Can you ship this to Puerto Rico? Yes, we can ship part number kf04009bk worldwide. Do you have 1 inch spacers and longer bolts to give a 1 inch lift? No, part number kf04009bk is and OEM replacement. Will this fit anything after 2001 Ford Explorer? No, part number kf04009bk will only fit a 1991-2001 Ford Explorer. Do you have hardware that will work for this? Yes, for years 1991-1994 you would need part number DHW003 and for 1995-2001 you will need part numberDHW004. Will these have a rougher ride than the rubber ones? No, part number kf04009bk will have the same smoothness of ride. Is it a possibility to make the KF04009 in Red instead of black? No, part number kf04009bk is only available in black. No part number kf04009bk will not squeak if properly tightened down.